Now this is what men would think if they get a chance to see the title. Men and diamond are not that dear, unlike women who go crazy behind diamond rings and any piece of jewel that is of diamond. Diamonds are said to be a women’s best friend as she adores diamonds for its beauty, purity and rarity. Sometimes you don’t find a lot of women these days wearing diamond ring as they don’t want heavy piece of jewelry unless it is their wedding ring or engagement ring. Same ways men would not mind wearing their wedding rings if it is made of diamonds. For many men who don’t mind pricy stuffs diamonds and related article won’t be of any importance. Same ways, men who are from a rich background and who move with people who note their fashion, diamonds and diamond rings are of great importance and value. 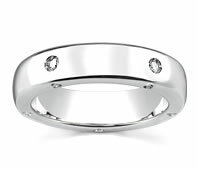 Diamond rings for men are one of the mainly impressive as well as stylish stuffs in men’s jewelry. 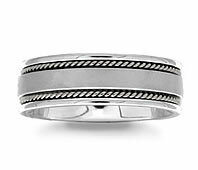 Men don not wear a lot of jewelry generally but, rings and chains are something that they wear commonly. Apart from gold watches with diamond dials and pendants with diamond settings, nice bold diamond rings are men’s common jewelry. Women take this as a chance to give valuable gifts to their dear ones and get diamond rings as they are meaningful gifts that are given for special occasions. Unlike what women wear, diamond rings that men wear will be made of one single metal like gold, platinum or titanium. You can see that women go a fancy design that are inspired from flowers or insects and is made up of a mixture of metals like silver and gold or platinum and gold. 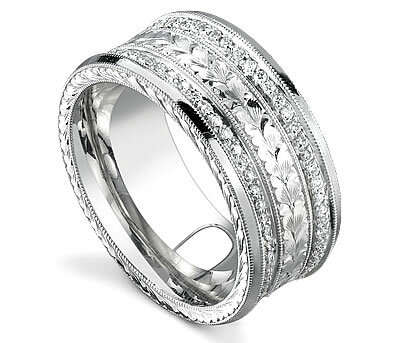 Diamond rings that men wear are quite big and have stunning bold designs to reflect the masculine style. Women have greater choice when it comes to the types of diamonds like color and cut but men have pretty lesser choice. We can see women wearing a proper pink diamond cut into a heart shape but men will not be able to fashion it as it won’t suit their sexuality. Sexuality is one of the main stuffs to note if you want to fancy the right style of accessory that suit you. Diagonal diamond rings, diamond square rings, diamond square rings, solitaire diamond rings, satin diamond rings and cluster diamond rings are some of the many types of diamond rings that suits men perfectly. 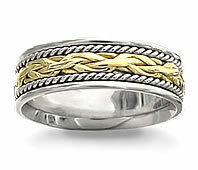 Best crafted rings are always an attraction with a perfect suit. Gentle men would use diamonds in their suit buttons and cuffing to increase it’s elegant and value. Though men are far away from jewelry that women like, we can find that there is another way in which men use diamonds as accessories.